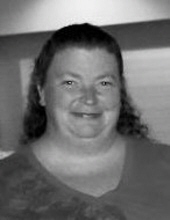 Maryann Reinhart, 43, of Bloomville, passed away Saturday, January 19, 2019, at her home in Bloomville. She was born July 5, 1975 in Chattanooga, Tenn. On August 17, 1996, she married Benjamin L. Reinhart in St Peters Catholic Church in Alvada. Survivors include: her mother, Darlene Vogel Harmon of Bloomville; her husband, Benjamin L. Reinhart of Bloomville; three sons, Logan ( ( McKennah Corfman) Reinhart, Luke and Lance Reinhart, all of Bloomville; sister, Sandy Vogel(Lloyd Belcher) Harvey of Republic; two nieces, Cheyenne and Brieanna Belcher; numerous aunts and uncles, and a granddaughter due March 25, 2019, Hadley Elizabeth Renee Reinhart. Maryann was a 1993 graduate of Redbank High School in Chattnooga Tenn., and a 1995 graduate of Terra Tech in Fremont. She was a Medical Secretary for Dr. Bouts at Blanchard Valley Medical Center in Findley. Visitation for family and friends will be 2 – 4 pm and 6 – 8 pm Tuesday, January 22, 2019, at the Lindsey – Shook Funeral Home, 3085 S. SR. 19, Bloomville. Services for Maryann will begin at 11 am Wednesday, January 23, 2019, at the funeral home with Pastor Tom Kagy officiating. Memorial contributions may be made to American Cancer Society, FACT, or Bridge Hospice. To send flowers or a remembrance gift to the family of Maryann Reinhart, please visit our Tribute Store. "Email Address" would like to share the life celebration of Maryann Reinhart. Click on the "link" to go to share a favorite memory or leave a condolence message for the family.